Do you remember the holy righteous outrage of the left over the waterboarding of the terrorist slimebag who masterminded the 9/11 attacks? Remember that? Republicans were just so damned EVIL. The rule of law had been discarded like a bag of dog crap, etc. etc. Well, consider the following from the Obama administration. The final bloody moments of Muammar Gaddafi’s life were still shrouded in confusion today as conflicting reports emerged about who fired the shot that actually killed him. 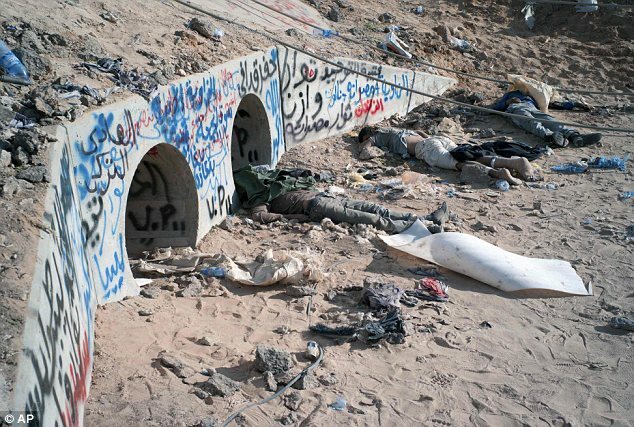 Libya’s deposed leader was pulled out alive from a drain under a motorway in Sirte, the city of his birthplace, where he had been hiding with a small group of bodyguards. A clutch of videos have emerged on the internet in which he is seen begging his captors for mercy. His condition varies dramatically, with later footage showing him rambling and drenched in blood. Moments after the last grainy video was shot, it is believed he was killed. Initial reports suggested he had been executed by revolutionary forces in front of a baying mob. 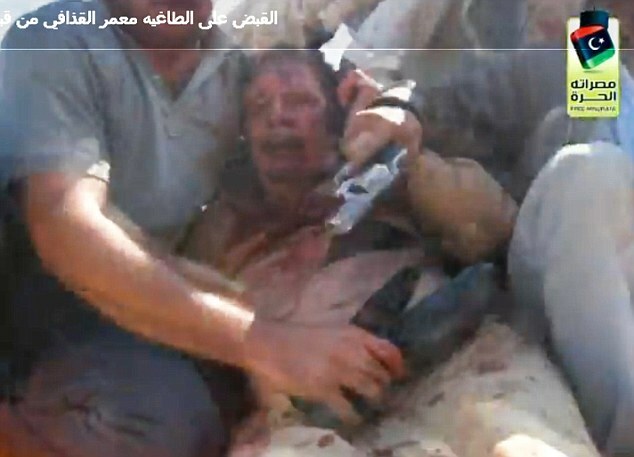 But there have been claims by rebels who witnessed the killing that Gaddafi was actually shot by one of his own bodyguards to spare him further humiliation. It has also been suggested he was shot during a fight inside an ambulance conveying him to hospital or that he was actually caught in crossfire. One rebel claimed that he had been killed as he put up a desperate last fight for freedom. He carried his golden revolver on him at all times, and may have pulled it from his clothes. ‘He might have been resisting. 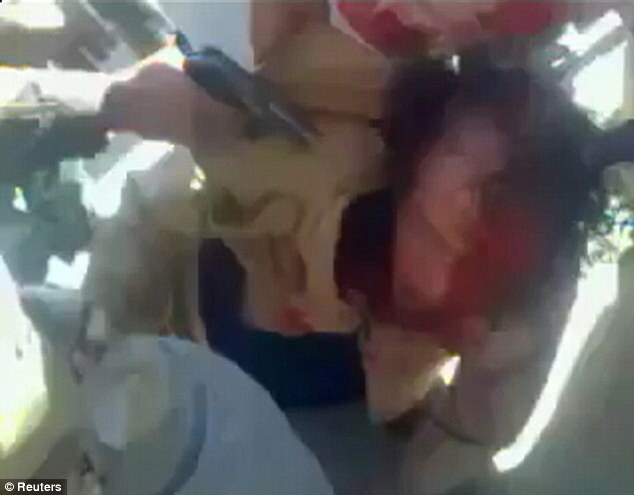 He might have struggled, tried to escape,’ a Libyan revolutionary said. 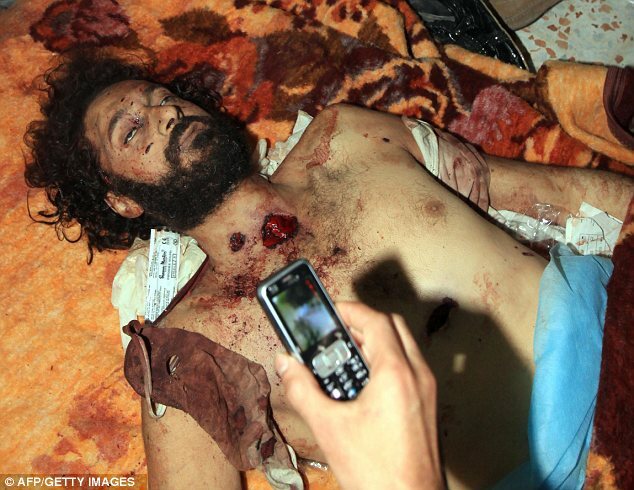 Pictures of Gaddafi’s body show a bullet hole in the temple, which supports claims he was shot at close range. ‘They captured him alive and while he was being taken away, they beat him and then they killed him,’ a freedom fighter said. 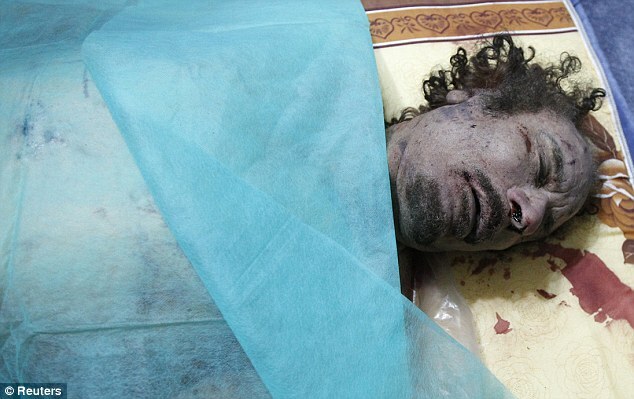 Gaddafi’s battered body was paraded through the streets of Sirte to the sound of celebratory gunfire and jubilant shouts. 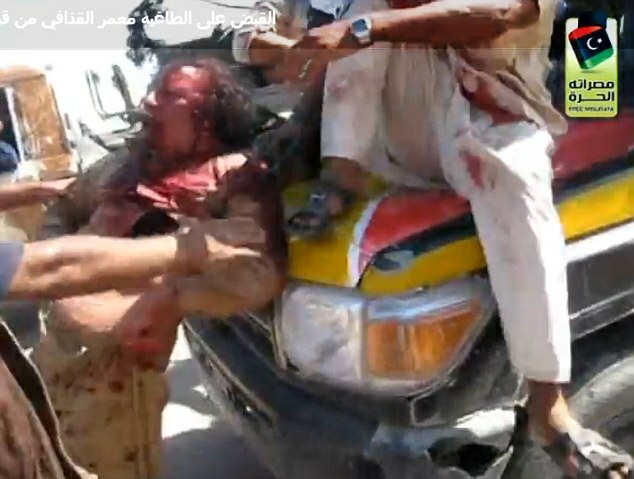 Another video captured the corpse of the 69-year-old being dragged through the streets of Sirte, to be paraded later before celebrating crowds in the nearby port town of Misrata. 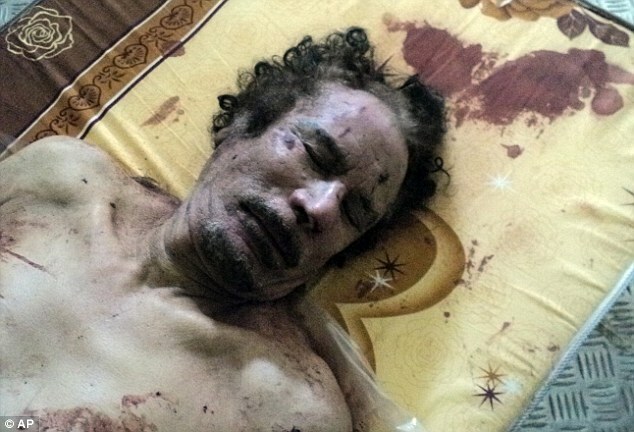 The circumstances leading up to Gaddafi’s death are more clear. RAF Tornados helped launch the final airstrike by flying surveillance missions which cleared the way for French fighter jets to bomb a Gaddafi convoy. The astonishing end for the tyrant came after he and loyalist fighters tried to flee Sirte as it was overrun by forces of the National Transitional Council. Gaddafi was in a convoy of up to 100 vehicles which tried to break out of Sirte – the last centre of resistance after eight months of civil war – early yesterday. The escape was spotted by Nato which launched two devastating strikes. At least 50 loyalist fighters were killed. 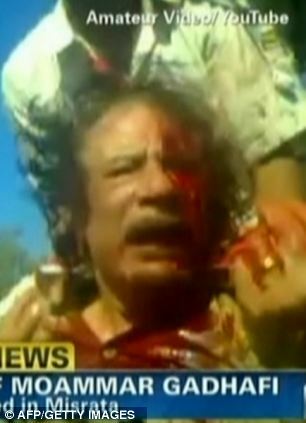 Injured in both legs, Gaddafi made his way with bodyguards through trees. 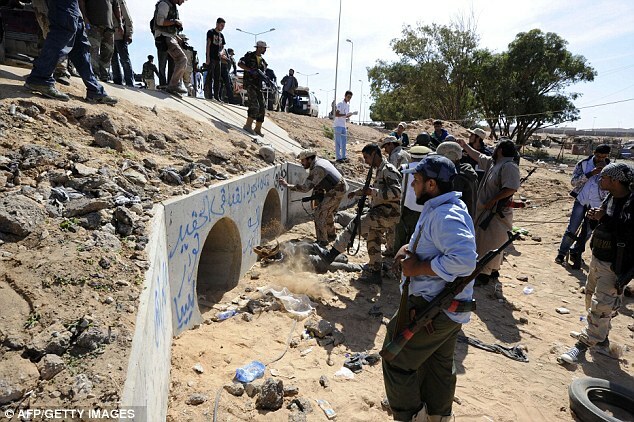 The group hid in two concrete sewers but were spotted by rebels. 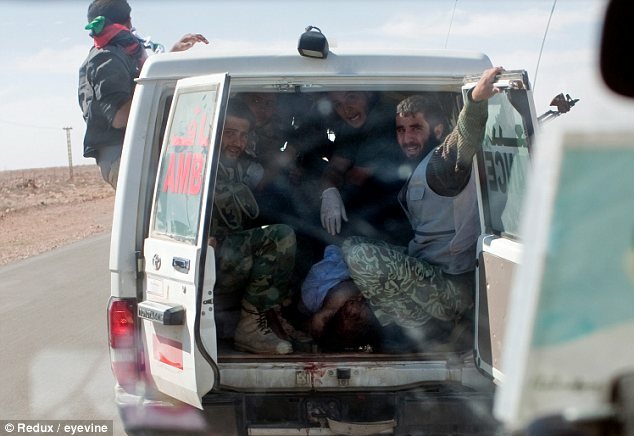 A Libyan named Salem Bakeer said that he and his comrades gave chase to Gaddafi and his small retinue of bodyguards after they fled their convoy following the airstrike. ‘At first we fired at them with anti-aircraft guns, but it was no use,’ said Bakeer. ‘Then we went in on foot. One of Gaddafi’s men came out waving his rifle in the air and shouting surrender, but as soon as he saw my face he started shooting at me. Freelance photojournalist Holly Pickett was embedded with an ambulance. She said that she saw another ambulance carrying Gaddafi. 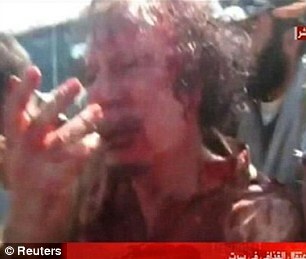 So close was she to the action, that she was able to pick out the bloodied body of Gaddafi. She says that he was wearing gold pants. She tweeted: ‘From the side door, I could see a bare chest with bullet wound and a bloody hand. He was wearing gold-coloured pants. ‘At every checkpoint between Sirte and Misrata, crowds had gathered and wanted to know if we were the ambulance with Gaddafi’s body in it. 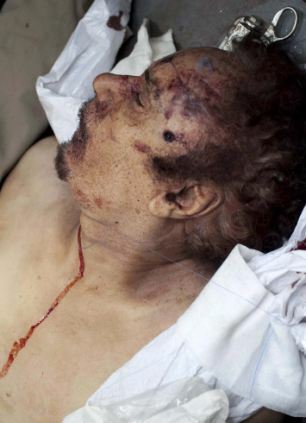 Adel Samir said that Gaddafi was shot in the stomach with a a 9mm pistol. 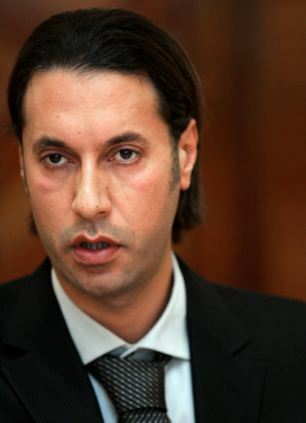 But Imad Moustaf told Global Post that Gaddafi was shot in the head and the heart. 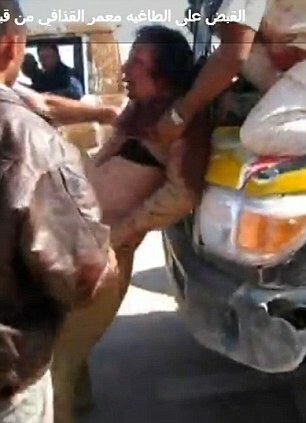 The claims that Gaddafi was executed in the back of an ambulance may be celebrated in Libya. But some within the new government, which is trying to establish itself on the western stage, would have preferred for Gaddafi to have been captured alive and put on trial. It could be for this reason that Libya’s interim prime minister, Mahmoud Jibril, said that Gaddafi was killed from a bullet to the head during crossfire between government fighters and his loyalists. Jibril told a news conference in the capital, Tripoli, today: ‘I am going to read to you a report by the forensic doctor who examined Gaddafi. The exact circumstances around this theory are unclear. 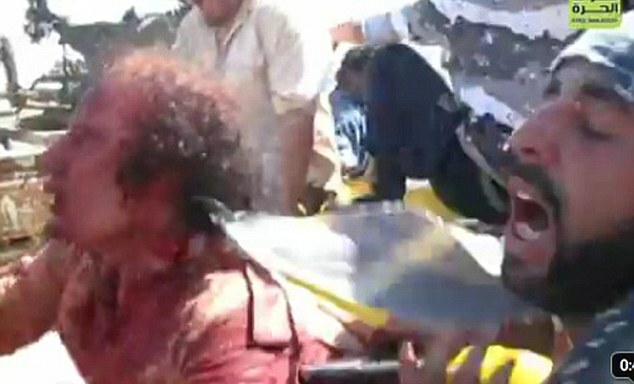 It is unlikely that bullets would have penetrated the ambulance and hit Gaddafi, who was pictured slumped against a rebel’s leg, in the head. It is also unlikely he was shot in the head before he entered the ambulance as bullets to the head almost always knock somebody off their feet killing them instantly. 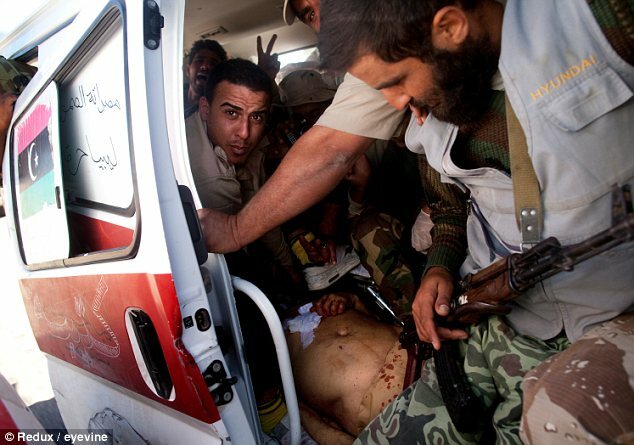 This points again to the theory that Gaddafi and a bodyguard launched a fightback inside the ambulance. 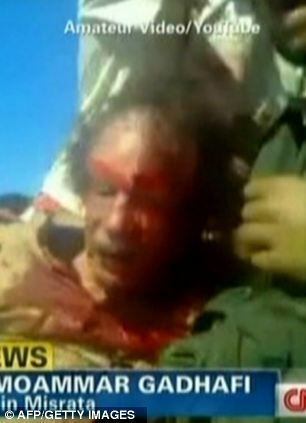 CBS News correspondent David Martin claims that Gaddafi’s own bodyguard shot him, in order to spare him the indignity of being captured. 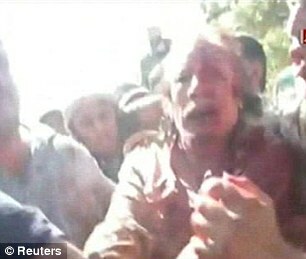 Confirmation of the death sparked wild scenes of celebration across Libya with tens of thousands taking to the streets. 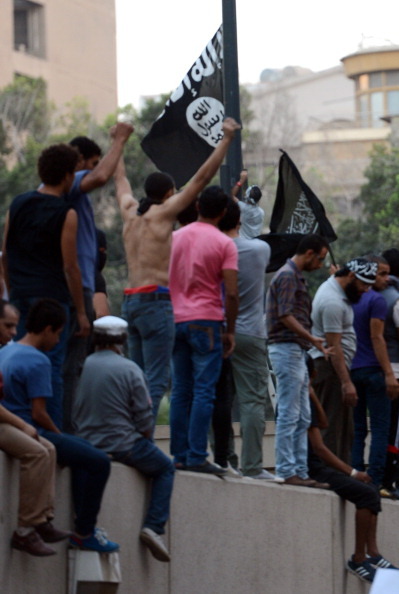 Celebratory gunfire rang out across the capital, Tripoli. Cars honked their horns and people embraced each other. 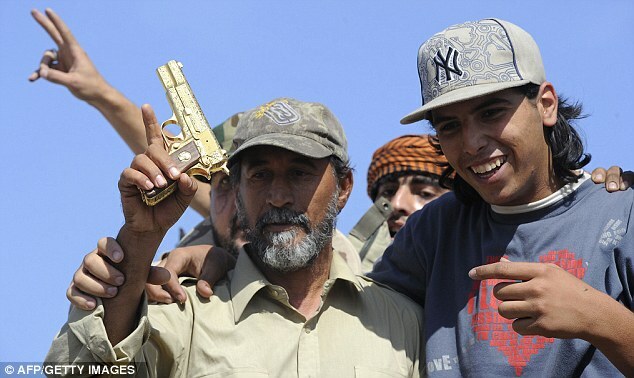 In Sirte, ecstatic rebels celebrated the city’s fall after weeks of bloody siege by firing endless rounds into the sky. 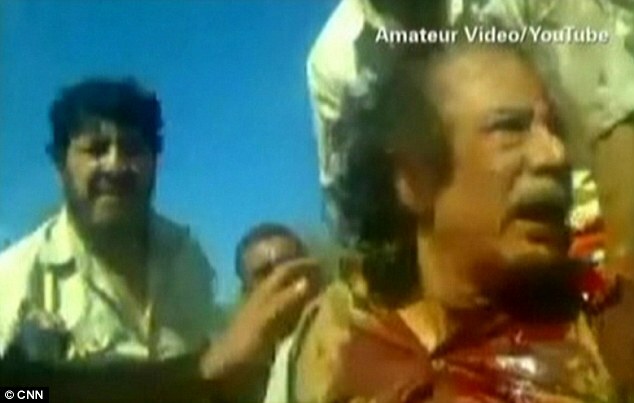 Gaddafi’s death closes a chapter in the Nato-led military campaign to help rebel forces remove him from power. Ever since the fall of Tripoli, the hunt for Gaddafi had prevented rebels from claiming outright victory. France’s defence minister announced today that the multi-million-pound bombing campaign of Libya by airforces including the RAF is now over. 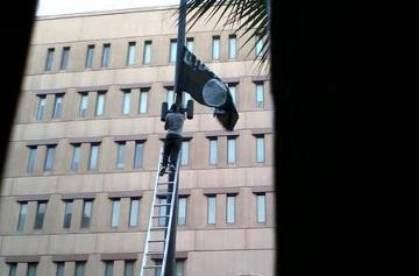 ‘The military operation is complete,’ said Alain Juppe, in Paris. ‘All Libyan territory is under the control of the National Transitional Council, and subject to some transitional technicalities, the Nato operation has come to an end. ‘The objective of helping the National Transitional Council to liberate their territory is now achieved,’ Mr Juppe added. A meeting later today will decide the technicalities of winding up the operation which has cost British taxpayers an estimated £300 million. Admiral Jim Stavridis made said today before a meeting of the alliance’s North Atlantic Council.that it was ‘a good day for Nato, a great day for the people of Libya’. US president Barack Obama last night announced that the mission would ‘soon come to an end’, although Foreign Secretary William Hague struck a more cautious note. ‘We will want to be sure that there are no remaining pockets of pro-Gaddafi fighters who can again become a threat to the civilian population,’ he said. Last night it emerged that RAF Tornados helped launch the final airstrike by flying surveillance missions which cleared the way for French fighter jets to bomb a Gaddafi convoy. 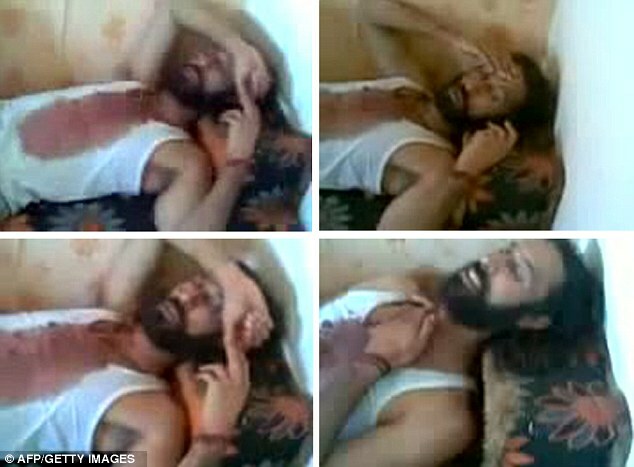 There were also claims that RAF jets carried out another raid which led to the wounding of Gaddafi’s favourite son, Saif al-Islam. The conflict has already cost British taxpayers more than £1billion and today Nato chiefs will decide whether to end the aerial campaign. David Cameron, who had driven much of Nato’s intervention, hailed it as a moment to remember Gaddafi’s many victims, including those who died when Pan-Am flight 103 was blown up over Lockerbie in 1988, policewoman Yvonne Fletcher, and those killed by the IRA using Libyan Semtex. In a statement notably free of any hint of triumphalism, the Prime Minister said he was ‘proud’ of the role Britain played in helping the Libyan people liberate their country. Outside 10 Downing Street, Mr Cameron said: ‘People in Libya today have an even greater chance of building themselves a strong and democratic future. Nato leaders will be watching anxiously over the next few days, however, in case Gaddafi loyalists plunder stockpiled weapons to wreak bloody revenge on the rebels. But there was to be no mercy for the man dubbed ‘The King of Kings of Africa’. 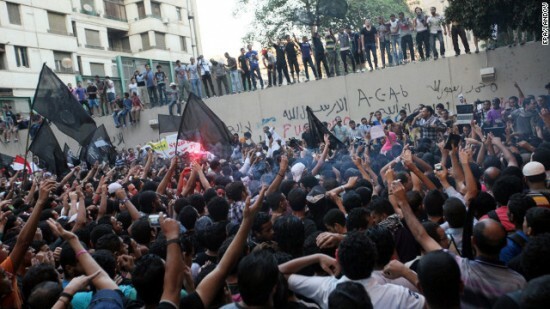 He is the first leader to be killed in the ‘Arab Spring’ wave of popular uprisings that have swept the Middle East, demanding the end of autocratic rulers and the establishment of greater democracy. 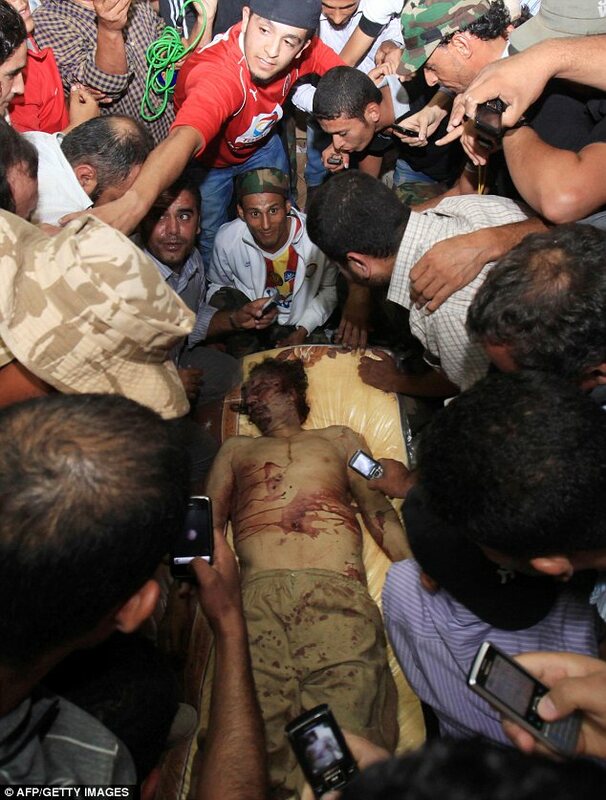 His death decisively ends a regime that had turned Libya into an international pariah. The oil-rich nation now enters a new era, but its turmoil may not be over. The former rebels who now rule are disorganised, face rebuilding a country stripped of institutions, and have already shown signs of infighting with divisions between geographical areas and Islamist and more secular ideologies. 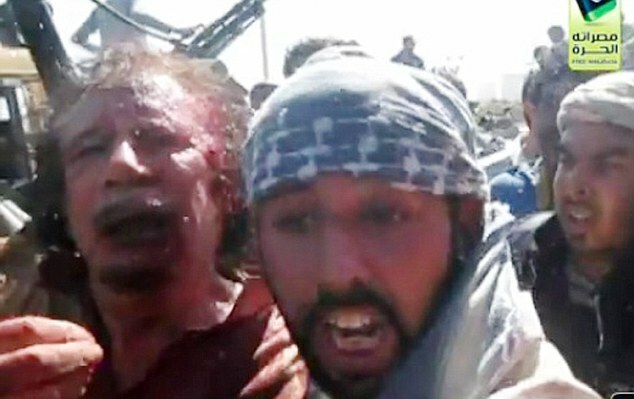 The death of Gaddafi and his son, Mutassim, who commanded loyalists in Sirte, as well as the capture of the British-educated Saif al-Islam, who was seen as the heir apparent, effectively removed any rallying point for an insurgency. Both Gaddafi and Saif had faced international war crimes warrants and there was concern last night that unlike Iraqi dictator Saddam Hussein, who was similarly pulled from a hole where he was hiding – he eventually was hanged in Baghdad – the Libyan leader was effectively executed by the troops of a fledgling democracy. Pretty rough way to go – especially when the man who so thoroughly DEMONIZED George Bush for waterboarding Khalid Sheikh Mohammed – is taking credit for Gaddafi’s end. KSM’s only crime had been murdering 3,000 innocent American citizens in a day that changed history. George W. Bush was facing exigent circumstances; was there another massive attack planned that would murder even more innocent Americans? Bush’s waterboarding not only extracted the information we needed not only to ensure that the terrorists rat bastards didn’t have yet another huge plot in the works, but it also ultimately lead U.S. intelligence to Osama bin Laden. For which Barack Hussein Obama and the Democrat Party demonized him up one end and down the other as being evil and anti-democrtic. 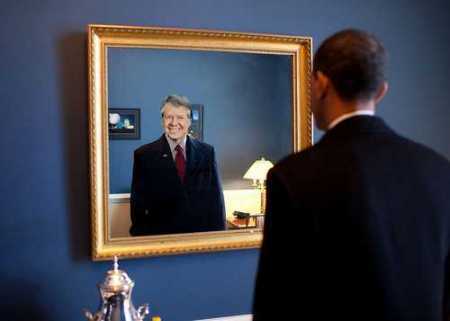 It doesn’t matter that Obama ordered Osama bin Laden assassinated without trial. That’s clearly nothing compared to how bad it would have been if we’d done something extreme, like waterboard him. And then there was Anwar Al-Awlaki, an American citizen whom Obama ordered assassinated by a Predator drone attack without trial. Remember how Democrats put on sackcloth and poured ashes over their heads over the destruction of constitutional protections to waterboarded terrorists who weren’t even citizens? What’s the deal with that? Where has the outrage been from Democrats? 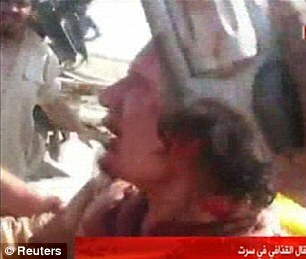 You tell me which is worse: being waterboarded or being beaten and shot to death? Because I’ll tell you what, you Democrat cockroach, let’s make a deal: you waterboard me and then I’ll beat the crap out of you and then put a bullet in your head. And, since on your depraved view being waterboarded is worse than being beaten and murdered, I get to go first and then you can waterboard me to your heart’s content. Clinton was in Tripoli earlier this week for talks with leaders of Libya’s National Transitional Council (NTC). 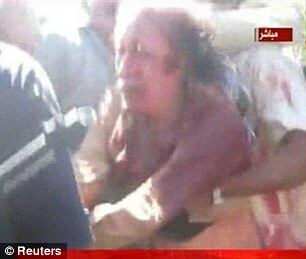 The reporter asked if Qaddafi’s death had anything to do with her surprise visit to show support for the Libyan people. “No,” she replied, before rolling her eyes and saying “I’m sure it did” with a chuckle. Let me simply put it this way: Democrats aren’t just vile by Republican standards; Democrats are utterly vile by Democrat standards. This actually gets even worse than the mere demonstration of abject Democrat hypocrisy on a fundamental level. 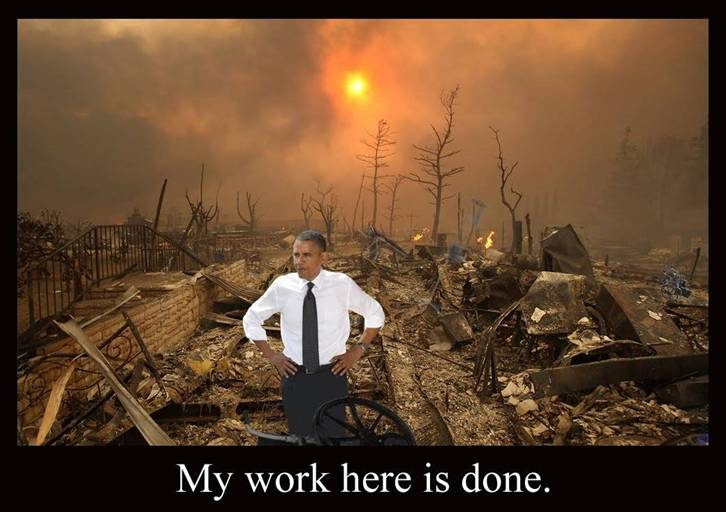 Barack Hussein Obama appeared on television today and took all the credit in the world for Muammar Gaddafi’s end as a backdrop to announcing that all American troops were going to be pulled out of Iraq. What he didn’t bother to tell the American people was that this end to the Iraq troop committment was a total disaster and a total disgrace for American policy. U.S. military commanders wanted to keep upwards of 25,000 troops in Iraq (the way we kept troops in Germany, Japan and South Korea) as a guarantee that Iran would not win in Iraq by destabilizing the Shiite majority in that country. Obama had THREE FULL YEARS to negotiate the troop level in Iraq with the assistance of an Iraqi congress that WANTED us to remain. But he did NOTHING until the last minute by which it was too late. And now we’re out of Iraq in failure with all that sacrifice being for nothing and Iran is laughing at us. 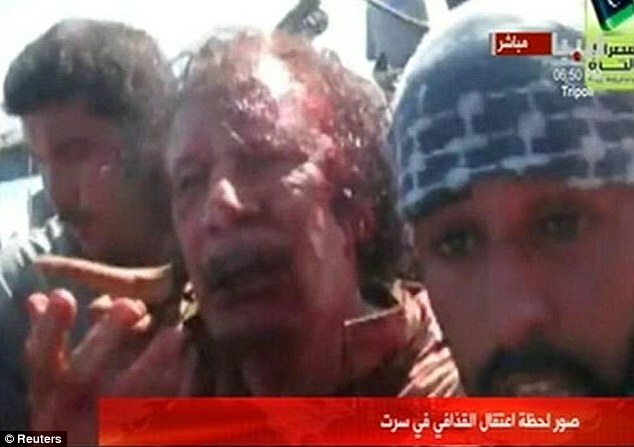 Now that Obama is the president responsible for the torture and murder of a dictator, what is going to happen next in Libya? Are his heroic allies who overthrew Gaddafi going to embrace democracy and freedom now that they showed how sacred human rights are with their former leader (after all, they didn’t waterboard the sonofabitch, did they?)? 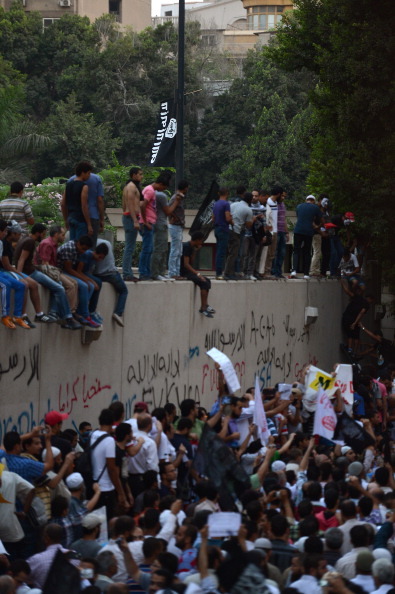 Obama has taken credit on multiple occasions for bringing about the Arab Spring that has resulted in so much “democracy.” But he has never told you why he is REALLY responsible for the “Arab Spring”, has he?